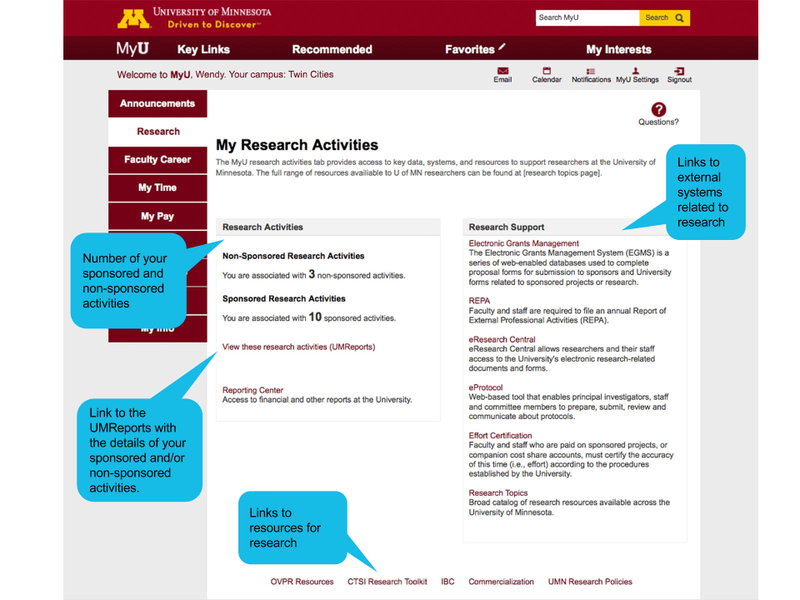 Deep links to the UMReports that display the details of your sponsored and/or non-sponsored activities. Supportive links to Research tools: Reporting Center, EGMS, REPA, eResearch Central, eProtocol, Effort Certification and Research Topics. If you do not have sponsored or non-sponsored grant funding, you still get all the research support information and links to other systems. Click the image to view more detail.